I am very lucky that I work with some world-champion amazing acrobats on a regular basis, who entertain audiences to raise money for their gymnastic club. Some of whom have joined Cirque du Soleil themselves and now perform shows around the world. 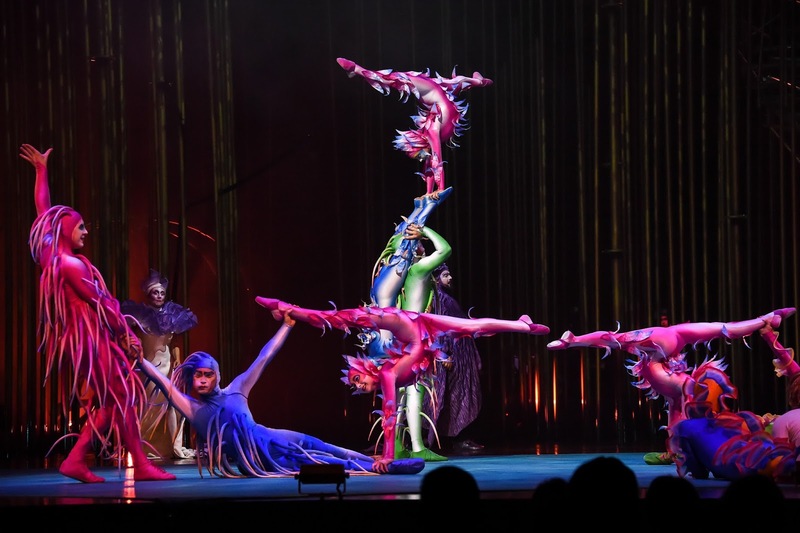 So when I received a press invitation to review a Cirque du Soleil show, Varekai, at Newcastle’s Metro Arena I jumped at the chance. Although I've seen many acrobatic performances for both entertainment and competition, this was to be my first Cirque show. And I was really excited. 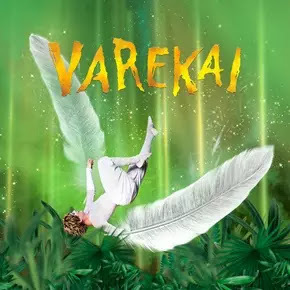 Varakei, Cirque du Soleil's kid-friendly show, arrived in Newcastle on February 15 and will entertain audiences with five more enchanting shows until Sunday 19 February before heading to Leeds’ First Direct Arena, Genting Arena in Birmingham, Nottingham’s Motorpoint Arena and The SSE Hydro, Glasgow and then onto Europe. 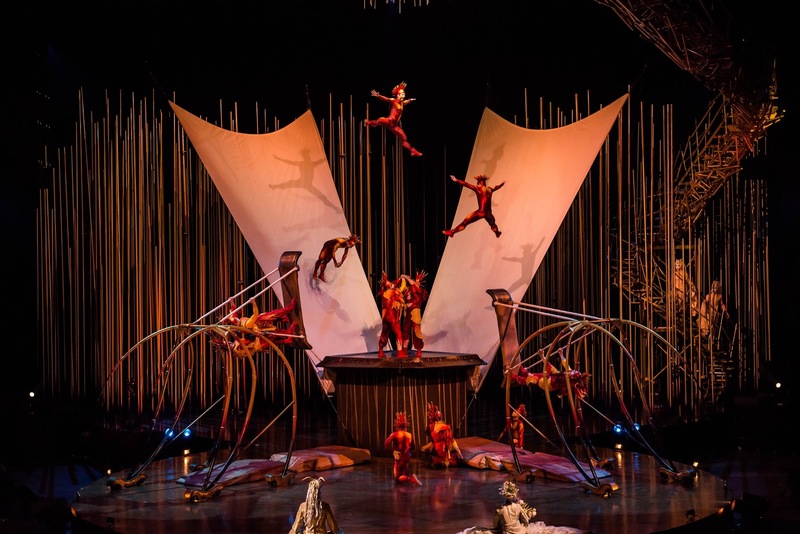 Cirque du Soleil has brought wonder and delight to more than 160 million spectators in more than 400 cities in over sixty countries on all continents. 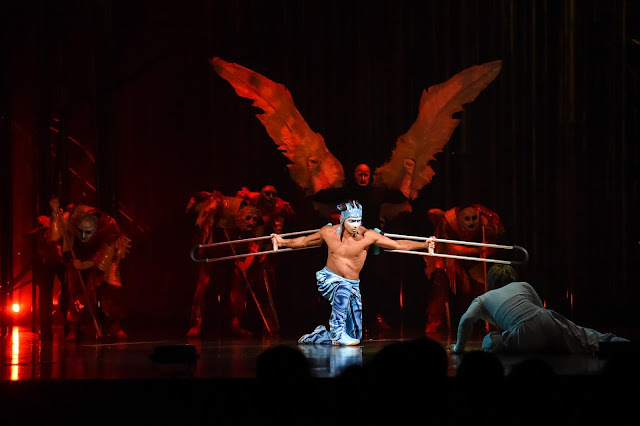 From a group of 20 street performers at its beginnings in 1984, Cirque du Soleil is a major Québec-based organisation providing high-quality artistic entertainment. The company has 4,000 employees, including more than 1,300 performing artists from close to 50 different countries. But on to the show itself. Performed by an array of talent, Varekai, with a simple story line of Icarus falling into an enchanted world is a two-hour show that passes in the blink of an eye. 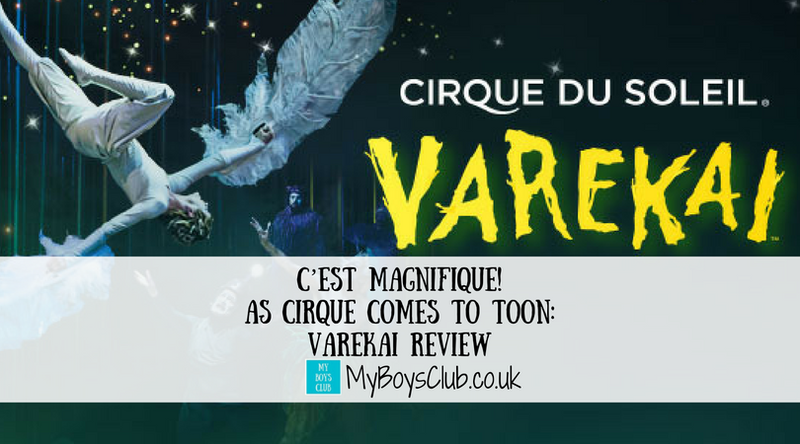 Varekai means 'wherever' in the Romany language of the Gypsies. It’s amazing lighting, sound, costume, staging and effects bring the whole emotional and dramatic story together as the audience is mesmerised by the athletic yet graceful performers. It has baton twirlers, tumbling, an amazing and graceful hand-balancer, daring acrobats, stunning aerialists and trapeze work and what I can only describe as pommel horse moves on crutches! And then there was slapstick humour from the clowns too, which made the audience laugh out loud. Every circus needs a clown! And then came the finale. The most spectacular act is saved till last – a troupe of somersaulting gymnasts giving an amazing display, with precision timing down to the ultimate perfection, on two Russian swings. It looked so good and so much fun, that I would love to give it a go. 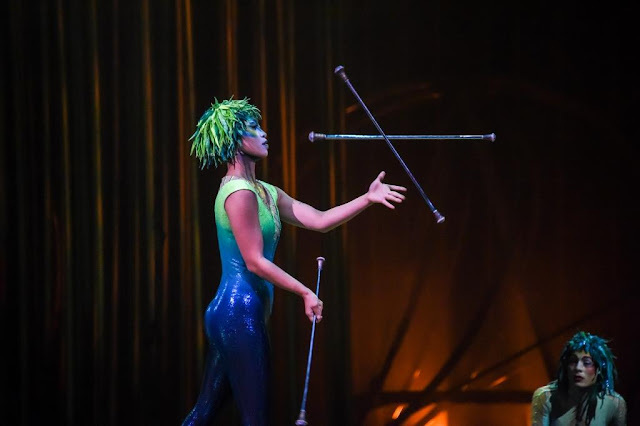 Varekai wows crowds with soaring feats of strength. There were plenty of ooh’s, aah's and gasps. It truly was a brilliant, jaw-dropping show, with spectacular costumes, make-up and astonishing performances. Many of the skills I have seen before but it's when it is all combined into a thrilling, jaw-dropping performance that it truly becomes a spectacular show. Cirque did not disappoint. My guest on the evening, as I too, was totally blown away, thoroughly entertained and very appreciative of the opportunity to watch Varakei. 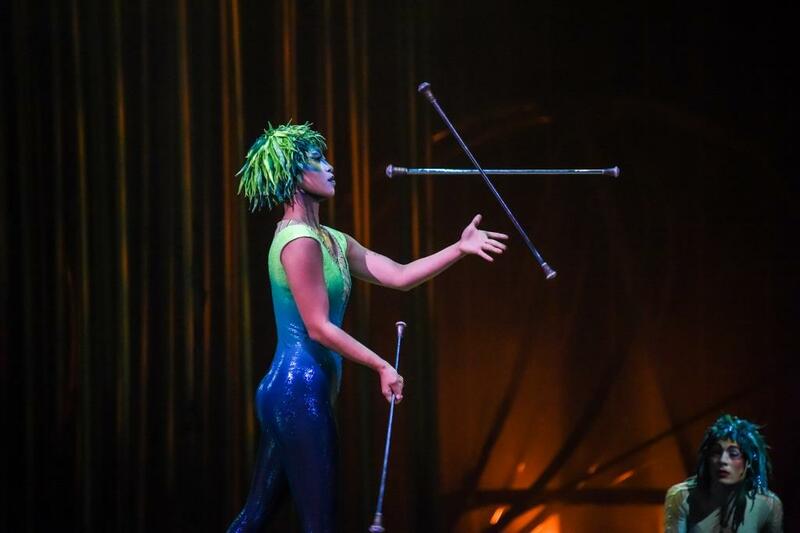 Cirque du Soleil’s Varekai is a two-hour performance, including a 20-minute intermission. Have you been to a Cirque performance? So good to see you last night - you are braver than me if you fancy those Russian swings! We had to watch behind our hands at one point.